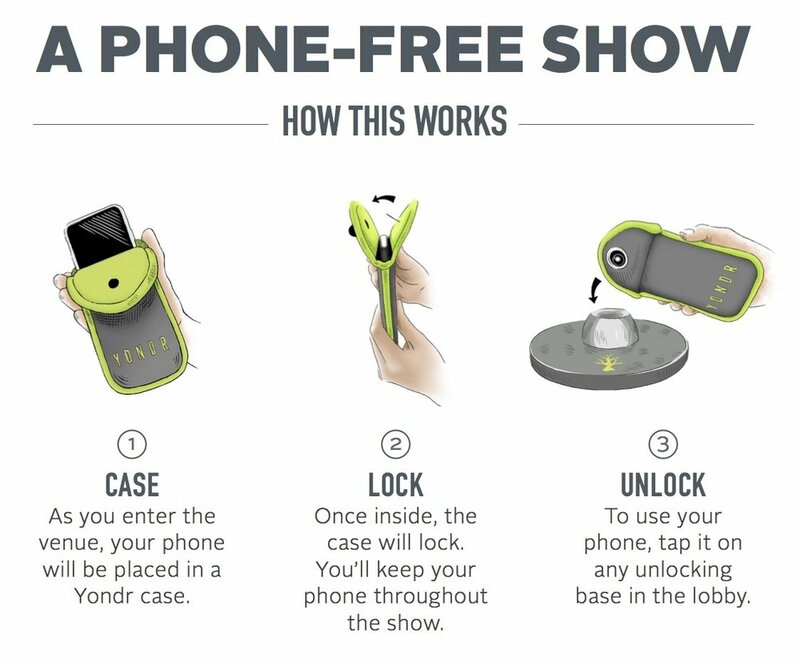 What is a phone-free show? Do I maintain possession of my phone at all times? Will the case affect my phone in any way? My ticket is on my phone. What do I do? I have a babysitter at home — Where can I check my phone? I am on-call for work — Where can I check my phone? What is a Phone Use Area? How do I unlock my phone after the show? Does it take long to unlock the cases and leave the venue? I didn’t know about the phone policy. What if I don’t want to do this?